It is our philosophy that every client deserves personalized attention and service. Specializing in servicing Porsche™ vehicles, at House Auto Group we are committed to providing service that matches the level of luxury of a Porsche. Whether you own Panamera Models, Cayenne or Macan Models, or 911 Carrera, Cayman, or Boxster models here in Pasadena or the greater Los Angeles area, our team of experienced professionals provides expert services for all of your automotive needs. Because just like your Porsche, you deserve nothing but the best. When you bring your vehicle to us, you can trust that you and your Porsche will receive top-quality service. We strive to make every visit to House Auto Group a hassle-free experience by streamlining our Porsche service process and tailoring our schedule to your needs. We offer complimentary pick-up and drop-off to ensure that when your vehicle needs servicing, it gets done whether you have time to bring it into the shop or not. While we have your vehicle, our experienced independent Porsche technicians will inspect it and deliver a written estimate of services and pricing as well as our expert recommendations for maintaining your Porsche. If we have your vehicle for an extended amount of time, we will call you with updates on the process of your services. We care deeply about providing excellent customer service and we absolutely guarantee you will be completely satisfied with our services — we may even exceed your expectations. 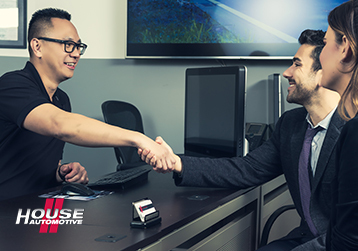 At House Auto Group, we’re so confident in our work that we offer a complimentary two year/unlimited miles warranty on all parts and labor that we provide. So, whether you need certified independent Porsche repair and maintenance in Pasadena, Arcadia, Glendale, Beverly Hills or anywhere else in the Los Angeles area, House Auto Group is your total Porsche solution. We promise that you and your Porsche will receive luxury treatment at our shop. If you’re in need of top-quality services for your Porsche, call us or come in today!